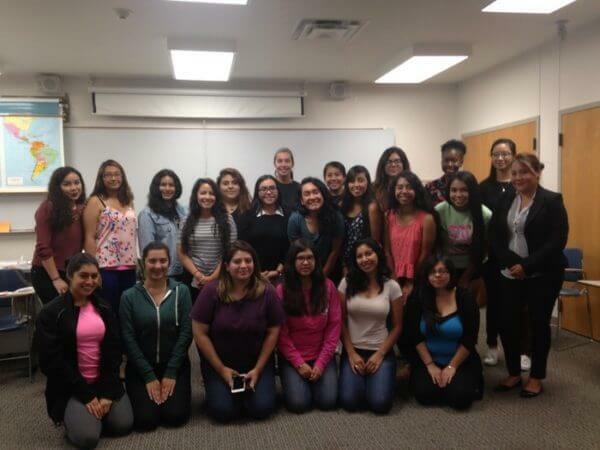 De Mujer a Mujer: Latina Assistance Program (LAP) focuses on providing a supportive space for Latina college students on campus by offering social, cultural and academic programming. This past fall, the student executive board worked diligently to offer engaging programming including “Girl Talk,” a women in leadership panel and breaking down stereotypes in collaboration with Supporting Opportunities for Latinos (SOL), a male involvement student organization. The program also hosted an evening of bowling at the Huskie Den to welcome new and returning participants. “Besides ample opportunities to network, attend various workshops and organize a conference, this program has taught me the value of leadership and the importance of sticking together as women to persevere our academic and personal goals,” said Guadalupe Barragan, vice president for LAP. Every spring, De Mujer a Mujer hosts a Women’s Empowerment Conference. De Mujer a Mujer, in collaboration with E.B.O.N.Y. Women, will hosting its 6th Annual Women’s Empowerment Conference in March. The conference is geared toward encouraging women of color to build confidence, discover their voice, express themselves and make wise decisions. Registration is required. Students are encouraged to attend the weekly meetings held on Wednesdays at the Latino Resource Center. The first meeting will be on Wednesday, Feb. 1, from 5:00 p.m. – 6:00 p.m. For more information, contact Angélica Mendoza, Assistant Director of the Latino Resource Center at 815-753-8645 or amendoza7@niu.edu. You can also “like” De Mujer a Mujer on Facebook to obtain more details at https://www.facebook.com/demujeramujerniu/.